Cold Wax Inspirations - other ways to use the Cold Wax Painting Medium. In the image top right the Brushable Wax Resist has been coloured with a small amount of oil paint. 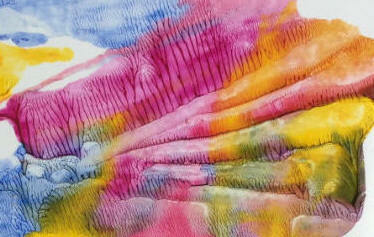 It was applied in a random way, using a painting knife, to the surface of a sheet of Yupo paper. This sheet, in effect, acted as the 'plate' for a print. 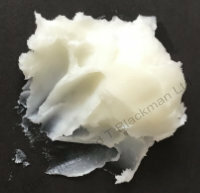 A clean sheet of paper was laid on top of the applied wax. Using your hand or a roller, apply pressure to the surface to move the wax around. When the sheet of paper is lifted off you have a mono print, usually of an abstract nature, that you can embellish further or leave as is. Depending how much Brushable Wax Resist was applied to the Yupo, further 'prints' can be obtained. Each will be softer in colour as the wax is removed by each sheet. Allow to dry if the print is the desired finish, or manipulate the wax by adding more, or brushing it out or adding metallic powders and such like. 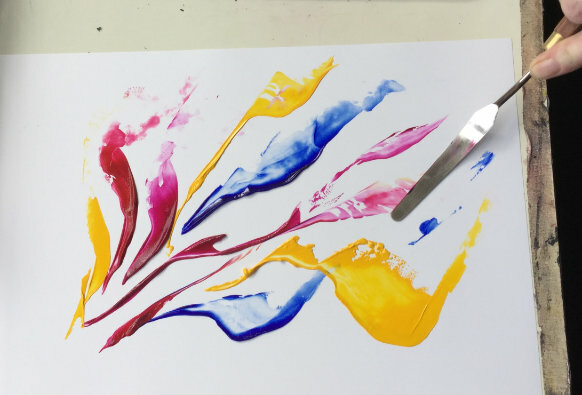 If watercolour paper is used then the Wax Resist will come into its own as water colour effects are applied to the surface. LiquiBlend Wax could also be used and would work just as well. Looking around the net you will find plenty of information about making 'dendritic' mono prints. Dendritic and dendrite relate to 'branched' or 'branching' like a tree and to the way crystals grow in a branch like fashion. 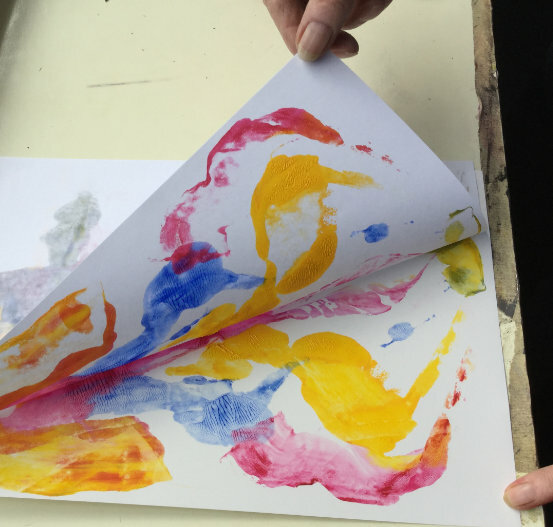 Most of these mono prints are made by applying the paint to glass, but if you use something like Yupo paper, as described above, you can even use the paper after the prints have been taken and less cleaning-up to do! Image left is a 'dendritic' or branch like pattern produced from the Brushable Wax Resists used above. Take a sheet of printer type paper and using Drawing Ink A/Indian Ink apply a design to the surface. Allow the ink to dry. Cover the sheet with LiquiBlend Wax by brushing or 'polishing' it over the surface, this will give the paper a 'parchment' look which will remain when dry. Using coloured pencils you can now colour the design, the LiquiBlend will allow the coloured pencils to be blended, especially wax ones. Coloured pencils needing water are not suitable for this technique. For best results complete the pencil work whilst the LiquiBlend Wax is still soft/wet, once dry the surface can be buffed with a lint free cloth.